On Thursday, at the Criminal Court in Skopje, Macedonian citizens, who were part of ISIS paramilitary group, were sentenced to 6-9 years in prison. It is about Elmedin Osmani, Ahmed Xhengis, Orhan Zhupani, Bunjamin Feto, Safet Ramadani, Ibrahim Shabani and Almir Mirtovski who at the past hearing confessed the crime with which they were charged “Participation in foreign military, paramilitary groups and terrorist organization”. 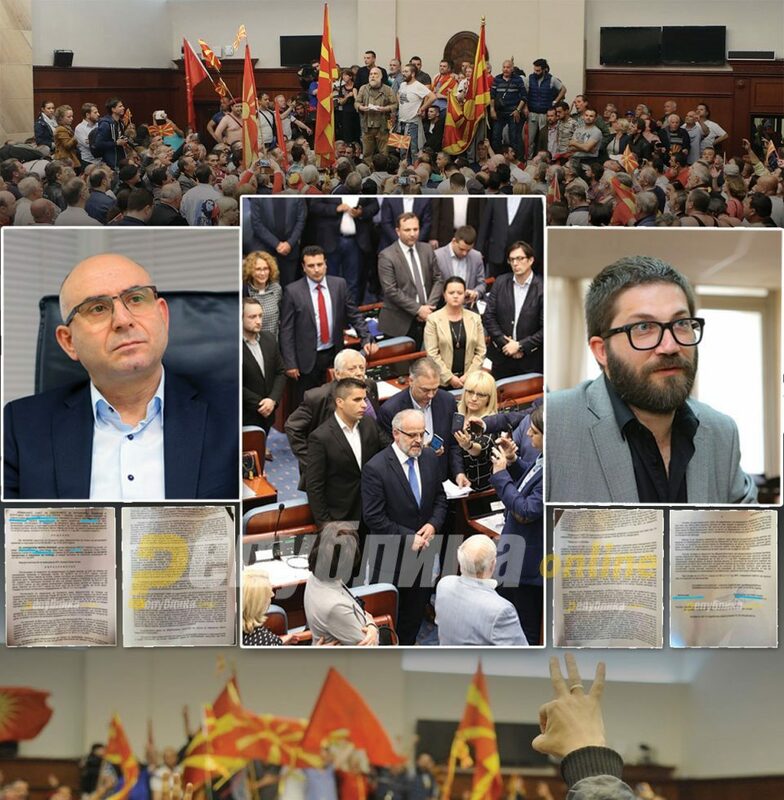 The paradox of the Macedonian judiciary is that only a few days ago draconian sentences were handed down in the Criminal Court to police officers, including former interior minister and director of the BJB, Mitko Cavkov, who was sentenced to 18 years in prison, while other police officers in the same case for terrorist threat to the constitutional order have been sentenced to 15, 12 and 10 years. What is worrying is the fact that persons who were given draconic sentences spent their lives in the Macedonian security service defending the Republic of Macedonia and its security, while the persons who participated in the terrorist organization ISIS known throughout the world that operates with a method of cruel and brutal killing were given minimum sentences.